The SPACES Sculpture Trail Artventure coming soon! This free event will take 50 upcoming kindergartners through fifth-graders on a hands-on journey exploring our outdoor sculptures, beginning with the four in Historic Downtown Madison, then to the one at City Hall and ending with an investigation of two kinds of sculptures at Dublin Park. 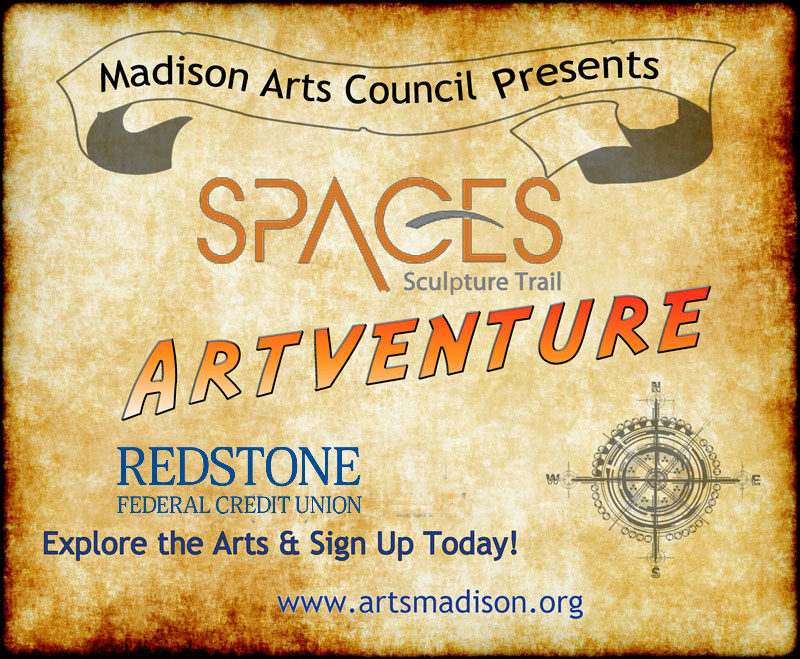 Madison Arts Council partnered with city leaders and The Arts Council of Huntsville to bring the SPACES sculptures to Madison in 2012. We want to showcase our beautiful public art and introduce various types of art forms to the children of Madison. At each of the sculptures, kids will learn what the sculptor was saying with his piece, and incorporate one of the following: drawing, dancing, pottery, photography, music, and writing. MAC will provide a mid morning snack for the kids. For lunch, MAC will partner with Domino’s Pizza to provide pizza along with a sweet treat from Whistle Stop Sweet Shop. Drinks to be donated by Sundrop. We are excited to bring this free event to Madison!